Villa Deniz Manzarali is a great seven bedroom six bathroom villa perfect for groups of friends and older families at prices to meet any families budget! 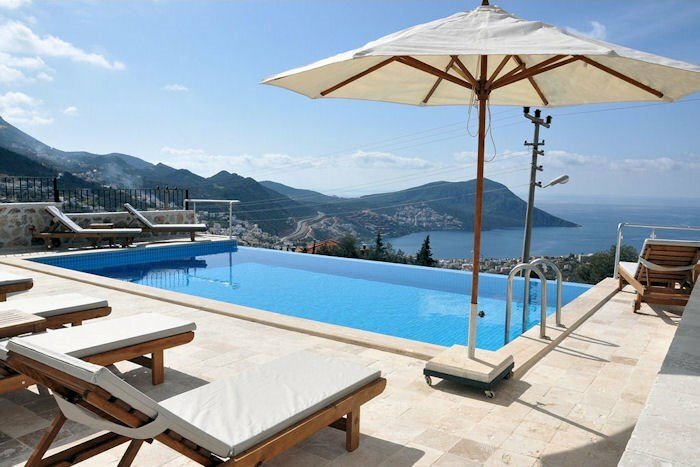 Nestled on the hillside overlooking Kalkan it benefits from lovely views of Kalkan and the Bay and pleasant breezes during the hottest summer months. If you love outside living then Villa Manzara is the place to be, with a great infinity pool, plenty of sunbeds and umbrellas, and private balconies with fantastic views on the upper floors.